I really like what the designers did here. 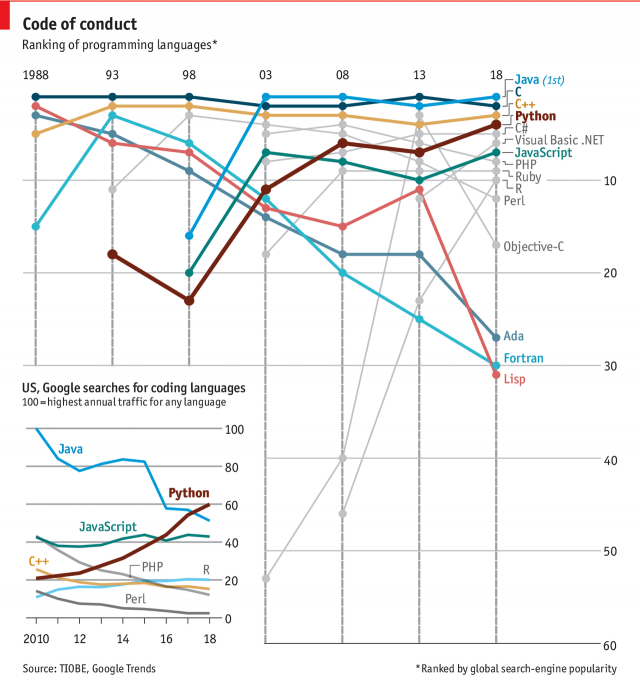 First and foremost the key chart is a ranking chart showing the popularity of languages since 1988—Java and C have consistently been at the top. But other languages no longer relevant are not even shown. (Where are you, Actionscript?) Those that are both relevant and also mentioned are colour coded within the set. But the truly nice thing is being able to use the empty space of the lower-left area of the chart to add some context. It shows the growth in Google searches since 2010 in searches for Python. Bonus note, look at that rise in R since 2008. Pardon the title, but don’t mind the graphic. 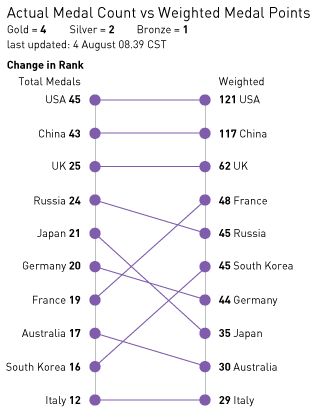 Sometimes ranking charts tell the story well. 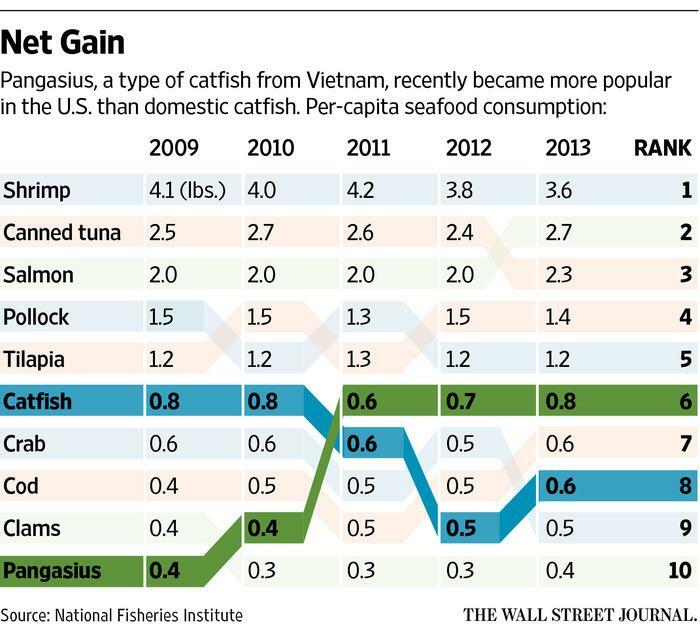 The Wall Street Journal has a graphic supporting a larger article about fish. And while I am not sure that I understand the reason behind the colours, they do make it quite clear that catfish is not nearly as popular as it used to be. Unfortunately the article is behind the pay wall, but broadly it appears that the fish on the move here might be banned from the US.